A new study, jointly led by the University of Southampton and King’s College London, has found a link between gum disease and greater rates of cognitive decline in people with early stages of Alzheimer’s Disease. Periodontitis or gum disease is common in older people and may become more common in Alzheimer’s disease because of a reduced ability to take care of oral hygiene as the disease progresses. Higher levels of antibodies to periodontal bacteria are associated with an increase in levels of inflammatory molecules elsewhere in the body, which in turn has been linked to greater rates of cognitive decline in Alzheimer’s disease in previous studies. The latest study, published in the journal PLOS ONE, set out to determine whether periodontitis or gum disease is associated with increased dementia severity and subsequent greater progression of cognitive decline in people with Alzheimer’s disease. 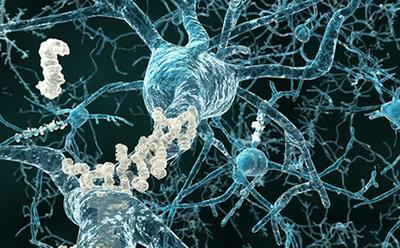 In the observational study, 59 participants with mild to moderate Alzheimer’s Disease were cognitively assessed and a blood sample was taken to measure inflammatory markers in their blood. Participants’ dental health was assessed by a dental hygienist who was blind to cognitive outcomes. The majority of participants (52) were followed-up at six months when all assessments were repeated. The presence of gum disease at baseline was associated with a six-fold increase in the rate of cognitive decline in participants over the six-month follow-up period of the study. Periodontitis at baseline was also associated with a relative increase in the pro-inflammatory state over the six-month follow-up period. The authors conclude that gum disease is associated with an increase in cognitive decline in Alzheimer’s Disease, possibly via mechanisms linked to the body’s inflammatory response. Limitations of the study included the small number of participants; the authors advise that the study should be replicated ideally with a larger cohort. The precise mechanisms by which gum disease may be linked to cognitive decline are not fully clear and other factors might also play a part in the decline seen in participants’ cognition alongside their oral health. However, growing evidence from a number of studies links the body’s inflammatory response to increased rates of cognitive decline, suggesting that it would be worth exploring whether the treatment of gum disease might also benefit the treatment of dementia and Alzheimer’s Disease. Dr Mark Ide, first author from the Dental Institute at King’s College London says: “Gum disease is widespread in the UK and US, and in older age groups is thought to be a major cause of tooth loss. In the UK in 2009, around 80% of adults over 55 had evidence of gum disease, whilst 40% of adults aged over 65-74 (and 60% of those aged over 75) had less than 21 of their original 32 teeth, with half of them reporting gum disease before they lost teeth. “A number of studies have shown that having few teeth, possibly as a consequence of earlier gum disease, is associated with a greater risk of developing dementia. We also believe, based on various research findings, that the presence of teeth with active gum disease results in higher body-wide levels of the sorts of inflammatory molecules which have also been associated with an elevated risk of other outcomes such as cognitive decline or cardiovascular disease. Research has suggested that effective gum treatment can reduce the levels of these molecules closer to that seen in a healthy state.